Half life size portrait of the beloved racehorse, John Henry. 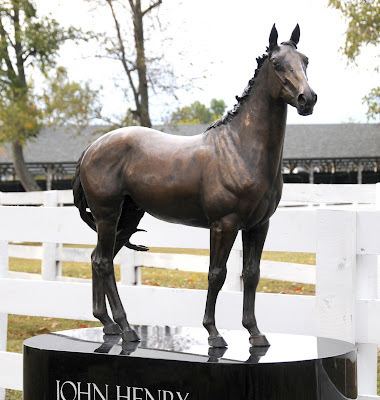 This piece stands over John Henry's grave at the Kentucky Horse Park. Limited copies available. Please inquire for details.